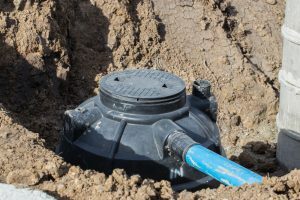 There comes a time as a homeowner where you may not be sure whether or not you can repair your older septic tank or if you need to replace it. When you call a professional to come out to do an assessment on your property, you will have the insight that you need as to whether or not you should think about a septic tank replacement in Smokey Point. Above all else, you should know that regular septic tank maintenance is necessary to keep the system working properly as this can avoid an installation that is costly. Believe it or not, septic professionals field phone calls all of the time from homeowners that have never had their septic tank pumped out. The bad news is that by the time the call is made, the tank damage has already taken hold. It is crucial that you have all of the cleaning and inspections necessary to make sure that your system is working as it should be. You could have a septic tank that is pretty old or there may be some sort of a malfunction like a backup. These are both instances where you could be faced with the need for replacement. The right team of professionals will be able to tell you if you should replace the tank itself or the entire system. If there is something going on like drains that are slower than normal in your sinks and tubs or the toilet is not working as it should be, there could be a looming backup. Whenever there is wastewater left above the ground near the drain field, this could also be another reason to think about tank replacement. When you call us at Schleg Valley Construction, we will gladly come out to your location to take a look at your system to make sure that everything is working as it should be. If the system is beyond repair or not efficient enough, we can talk with you about plans for professional septic tank replacement. Call Schleg Valley Construction today at (425) 312-6750 to talk with someone about your septic needs. We are available for any of the design needs you may have for a septic tank replacement in Smokey Point. It is always our goal to make sure that our customers have affordable, friendly, and expert services when it comes to all of their septic needs. Next PostNext Why Hire The Professionals For Septic System Sitework In Clearview?